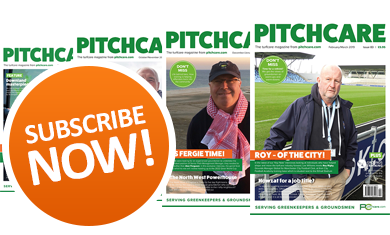 In the last in this series of articles exploring developments in the world of Artificial Grass Pitch (AGP) maintenance, Technical Surfaces takes a look at the importance not only of maintaining an AGP throughout its life, but also of recording the type and frequency of works taking place. With the recent unveiling of Saracens Rugby Club's artificial pitch at Allianz Park, AGPs are taking a greater stride towards acceptance in professional sport and, with that, comes an increased responsibility for ensuring these surfaces achieve consistently high performance levels. Here, Emma Kealy examines the research and developments in AGP maintenance that have fostered a greater understanding of its importance; how AGPs are becoming more widely accepted for use by sports governing bodies; and the ways in which the maintenance industry has evolved and adapted its services to meet the high demands of professional sport. Academic research into the maintenance requirements of AGPs began in earnest in 2003, with the commencement of a four-year doctorate carried out by Dr Iain James and Dr Andy McLeod of the Centre for Sports Surface Technology, Cranfield University. This ground-breaking investigation found that the average maintenance spend on a natural grass pitch was around £7500 per annum, whilst on an AGP maintenance costs were in the region of £8000. This did much to dispel the myth that 'artificial' equated to 'maintenance free'. Indeed, the study found that, although AGPs are not cheaper to maintain than their natural grass equivalents, they do allow for substantially greater usage than could possibly be achieved on natural pitches. Specifically, the Cranfield investigation reported that typical weekly use on an AGP totalled around forty-four hours, compared to only 4.1 hours on a natural grass pitch - that's a tenfold increase in the amount of play afforded by an AGP. It therefore follows that the maintenance costs per hour of use for AGPs are ten times less than for natural grass pitches. The concluding report, published in 2008, recommended that AGPs should be maintained ideally from day one; that a usage/maintenance hourly ratio of 10:1 be the standard for the frequency of maintenance taking place on an AGP; and that a pitch condition and maintenance audit be carried out regularly, to ensure an AGP is being properly maintained. By advising AGP owners and operators to log each occasion that their surface is swept, drag brushed, power brushed and inspected, as well as the number of hours per month that these works are completed, the Cranfield report emphasised the need to record and document maintenance as being a key aspect of AGP maintenance. Dr James, now Technical Director at the sports surface designers TGMS Ltd explains; "The amount of maintenance should be linked to the hours of use on a pitch. All pitches will need routine maintenance to help clean infill from environmental contamination, but the more the pitch is used the more maintenance is required because of wear, compaction and contamination from use. 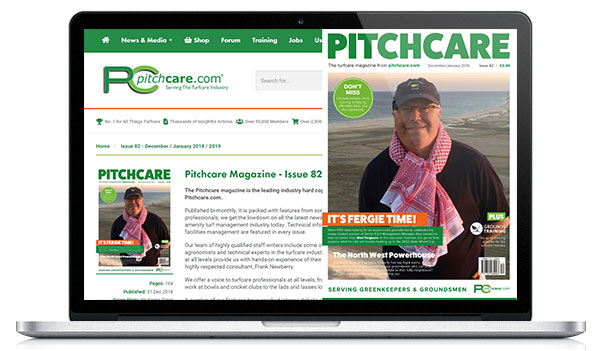 Keeping good records of use and pitch condition is essential." The findings of the Cranfield report were upheld in 2009 by Dr Colin Young in his SportSURF presentation 'Maintaining Performance'. Here, Dr Young focused on the need to provide adequate maintenance for AGPs at a level comparable to that which is freely afforded to natural turf pitches. By this time, it was more widely understood that AGPs are anything but 'maintenance-free', yet still the provision for appropriate maintenance was often found lacking. The potential financial rewards of an AGP have long been clear, particularly when it is utilised for both club and commercial use. However, as with anything, the more an AGP is used the more it requires maintaining. A car, for example, covering close to 50,000 miles a year will require more consumable parts and more frequent servicing than a car that travels just 10,000 miles a year. AGPs are no different and, in his presentation, Dr Young stated that all too often little provision is devoted towards maintenance, citing unclear responsibility and lack of funding as key reasons for this. D r Young's presentation outlined a plan to remedy this failing, namely the introduction of a new procurement framework, being developed between the FA, Football Foundation and the RFU, with input from SAPCA in its capacity as the trade association. The Framework Contract, as it became known, will be assessed in more detail later, but essentially it was introduced here as a means of providing a performance-backed warranty for AGPs. Crucially, under the terms of this framework, the client would be required to monitor and record ongoing maintenance in order to safeguard the performance warranty of their AGP. More recently, academic research has centred on the maintenance processes themselves, in an effort to attach a scientific grounding to industry practice, which had previously been formed through years of experience and observation. Projects such as the collaborative study between Loughborough University and Technical Surfaces aim to present an objective evaluation of the accepted practices and conventional wisdom behind the maintenance of AGPs. This may well have consequences for all of us in the AGP industry, as our own knowledge and understanding of AGP maintenance continues to develop. 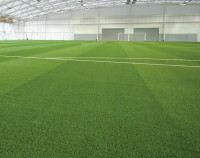 It is also anticipated that the findings of this research, titled 'Artificial Turf: Integrating Maintenance and Sport Surface Science', and due to be published in 2014, will assist sports governing bodies in developing their official guidance for groundcare maintenance programmes, for top-level and community use AGPS - which brings us neatly back to the Framework Contract. 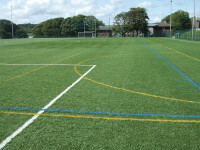 The Framework Contract for the provision of artificial grass pitches for the Rugby Football Union, the Football Association and the Football Foundation, to give it its full title, is a document that encapsulates much that we have already discussed here: the need for manufacturers to ensure that their AGPs are maintained for the first twelve months as a minimum, to be followed up with a suitable aftercare programme that ensures the AGP continues to satisfy the performance requirements of the appropriate sport's governing body; the requirement to produce a site-specific Maintenance Report and Programme for each AGP installed; and the importance of keeping an updated maintenance log in order to comply with the manufacturer's warranty. Significantly, an entire section of the Framework Contract is devoted to monitoring hours of use on an AGP, and how this links in with both the warranty period and the frequency of testing that must take place on all AGPs installed under the scheme. For example, a FIFA One Star AGP used for community football requires testing every four years if it receives up to fifty hours of use a week, but every three years if it is used for more than fifty hours a week. (AGPs used for rugby at all levels are required by the IRB to be tested every two years, regardless of usage). The sports performance levels on this same surface type come with a minimum warranty period of eight years, providing weekly usage does not exceed thirty hours; five years if it receives thirty to fifty hours of use; but only three years if weekly usage is above fifty hours. Here, we begin to see the importance of recording hours of usage, as well as hours of maintenance, on an AGP. "Logging both maintenance work and usage is critical to ensuring the longevity of an AGP", explains Greg Hill, Commercial Director of Technical Surfaces. "Without accurately recording both aspects, it will be impossible to ensure that your surface is being cared for properly. The extent and detail of the information collected is down to each site; however, as a minimum it should give the total hours of usage on the surface as a whole. 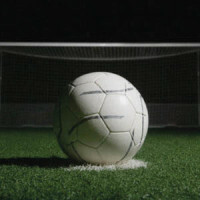 To ensure greater accuracy, clients should endeavour to collate information on the number of players using the surface during these times, and which areas of the surface are used more frequently." So, why is it useful to log the number of players as well as the number of hours? Well, usage levels alone tell only half the story. If an AGP is hired for three hours of use every night, Monday to Friday, for full hockey or football practice, weekly usage equates to 15 hours x 22 players, or 330 player hours. However, the same pitch divided into three six-a-side areas equates to 540 player hours (15 hours x 3 pitches x 12 players). In this scenario the AGP will be undergoing almost twice as much stress, and so the maintenance taking place on this surface must be adjusted accordingly. This is reflected in the Framework Contract, and puts into context the decision to tie the minimum warranty period to the weekly hours of use. Further to this, the use of pitch rotation is also recommended as good practice. An AGP may be used every night for five-a-side football but, if only the same section of the surface is used each time, then premature wearing will occur in this area compared to the rest of the surface. Human nature dictates that players will always choose the court nearest to the gate, but it is important to rotate court usage where possible, to encourage play across all areas and promote an even rate of wear. Recording information on usage, player numbers and maintenance works to this degree of accuracy can seem like a burden at first but, once a system is in place, it can prove vital in the long-term care of an AGP. Normally, the information required should be able to be retrieved from the booking system in place. If not, a simple paper system or Excel spreadsheet can be used to record the day to day activities, before collating weekly or monthly reports. It is always worth asking your AGP installer or manufacturer if they provide a method of recording this information as part of the terms of their warranty. Alternatively, if you employ the services of a specialist AGP maintenance provider, they should be able to supply you with a suitable means of logging this information. 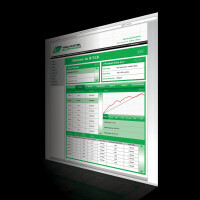 For example, Technical Surfaces has developed a unique Online Technical Information System (OTIS) for its clients, which not only details all works completed as part of their maintenance contract, but also allows clients to detail their own maintenance and even record usage levels to whatever degree of complexity they require - from a straightforward log of booking hours through to detailing the number of players, the type of use (i.e. training, full match play) and how much of the surface is being used. This information is then stored online for clients to observe - in graph form - AGP usage levels week to week or month to month. Furthermore, using OTIS, actual hourly usage can be measured against projected hourly usage, to determine whether or not the maintenance programme in place is appropriate for the level of use the AGP is receiving. The system can also be set up to send automatic notifications if projected hourly usage levels are exceeded, effectively alerting all relevant parties (client, manufacturer, maintenance provider) to a potential disparity between the maintenance in place and the maintenance required for the surface to meet designated performance standards. For AGPs installed within the Framework Contract, access to such information could mean the difference between fulfilment and non-fulfilment of the manufacturer's warranty. As we have seen, it has become increasingly common for a suitable maintenance programme to be tied to the terms and conditions of an AGP manufacturer's warranty, with a requirement for maintenance to be implemented as soon as installation is complete. To that end, necessity dictates that an open dialogue exists between manufacturers, installers and maintenance specialists to help clients preserve the warranty of their AGP. Research into AGP maintenance, over the past decade or so, has helped maintenance providers work with manufacturers and installers to formulate programmes of work tailored specifically to a particular surface type and the amount of use it receives. Within the terms of the Framework Contract, AGP manufacturers are responsible for ensuring the performance standards of their AGPs are adhered to. A key element of this is ensuring that the data collected in the maintenance logs is used to modify and advise the club/end user of any adjustment to the routine weekly maintenance, and to further advise the club/end user of specialist maintenance requirements, so as to ensure full compliance with the manufacturer's warranty requirements and award terms and conditions. So, logging the hours of maintenance, usage levels, and the type of use taking place on an AGP, plays a crucial role in ensuring that the correct maintenance is being completed. This is a practice that we encourage all owners and operators of AGPs to undertake, whether your surface is used for community play, school lessons or competitive matches. 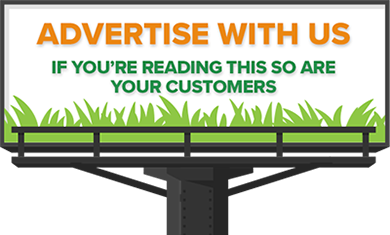 As well as providing important marketing information for promoting bookings on your AGP during periods of low usage times or in the evenings, understanding the degree of maintenance required on your AGP will go a long way towards extending its usable life, preserving the performance standards you expect from your surface, and delaying the inevitably high cost of resurfacing. If you would like to discuss the maintenance of multiple synthetic sports pitches, call Technical Surfaces now on 08702 400 700 and ask to speak to a Technical Manager.